What is a freeze dryer? How does it work? Freeze dryer and lyophilizer are synonymous names for the same equipment. A freeze dryer executes a water removal process typically used to preserve perishable materials, to extend shelf life or make the material more convenient for transport. Freeze dryers work by freezing the material, then reducing the pressure and adding heat to allow the frozen water in the material to sublimate. A freeze dryer works in three phases, with the first and most critical being the freezing phase. Proper freeze drying can reduce drying times by 30%. Freeze dryers use various methods to freeze the product. Freezing can be done in a freezer, a chilled bath (shell freezer), or on a shelf in the freeze dryer. 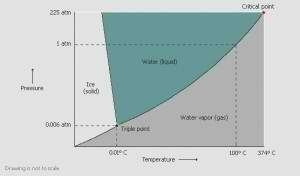 The freeze dryer cools the material below its triple point to ensure that sublimation, rather than melting, will occur. This preserves the material’s physical form. A freeze dryer most easily freeze dries large ice crystals, which can be produced by slow freezing or annealing. However, with biological materials, when crystals are too large they may break the cell walls, and that leads to less-than-ideal freeze drying results. To prevent this, the freezing is done rapidly. For materials that tend to precipitate, annealing can be used. This process involves fast freezing, then raising the product temperature to allow the crystals to grow. A freeze dryer’s second phase is primary drying (sublimation), in which the pressure is lowered and heat is added to the material in order for the water to sublimate. The freeze dryer’s vacuum speeds sublimation. The freeze dryer’s cold condenser provides a surface for the water vapor to adhere and solidify. The condenser also protects the vacuum pump from the water vapor. About 95% of the water in the material is removed in this phase. Primary drying can be a slow process. Too much heat can alter the structure of the material. A freeze dryer’s final phase is secondary drying (adsorption), during which the ionically-bound water molecules are removed. By raising the temperature higher than in the primary drying phase, the bonds are broken between the material and the water molecules. Freeze dried materials retain a porous structure. After the freeze dryer completes its process, the vacuum can be broken with an inert gas before the material is sealed. Most materials can be dried to 1-5% residual moisture. Condenser overload caused by too much vapor hitting the condenser. Vapor choking – the vapor is produced at a rate faster than it can get through the vapor port, the port between the product chamber and the condenser, creating an increase in chamber pressure. Here are a few important terms related to freeze dryers. For a comprehensive list see our freeze drying terminology page. 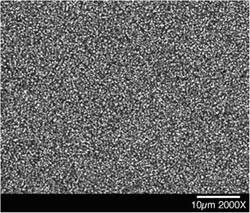 Is the point at which the product only exists in the solid phase, representing the minimum melting temperature. Not all products have a eutectic point or there may be multiple eutectic points. During freeze drying, the maximum temperature of the product before its quality degrades by melt-back or collapse. 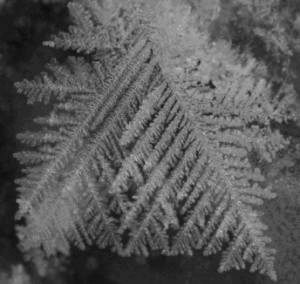 The material forms crystals when frozen.